Xylitol, a naturally occurring sugar alcohol used worldwide as a low-calorie sweetener, is clinically proven to reduce cavities and help prevent tooth decay and gum disease. Xylitol is found in fibrous vegetables and fruits, corn cobs and hardwood trees (like birch). Our bodies make up to 15 grams (four teaspoons) of xylitol daily. It looks, feels and tastes like ordinary sugar (sucrose), but has 40 percent fewer calories and 75 percent fewer carbohydrates than sugar. Additionally, xylitol is not easily converted to fat and has almost no effect on insulin levels, making it a great alternative for diabetics, bodybuilders and dieters. It also is considered safe for pregnant and nursing women, babies and children. Xylitol can replace sugar in cooking, baking (except when sugar is needed for yeast to rise) or in beverages as a sweetener. It also is included as an ingredient in chewing gums, mints, candies, toothpastes, mouth rinses and nasal sprays. Eating sugar causes tooth decay by creating an acidic condition in the mouth. Acidity strips minerals from tooth enamel, causing it to weaken and be more vulnerable to bacteria, leading to tooth decay or demineralization. Ordinarily, saliva bathes the mouth with an alkaline solution that neutralizes acidity and remineralizes teeth. Saliva also washes away leftover food particles and helps with digestion. However, when saliva turns acidic because of too many sweets, oral bacteria take over. These bacteria, combined with carbohydrate waste, stick to the teeth and tongue, keeping the acid close to the teeth where it erodes tooth enamel. Xylitol is non-fermentable and cannot be converted to acids by oral bacteria. As a result, it helps restore a proper alkaline/acid balance in the mouth. This alkaline environment reduces the time teeth are exposed to acids while also starving bacteria. Antimicrobial properties help prevent tooth decay by inhibiting bacteria, particularly Streptococcus mutans (the oral bacteria that causes cavities) and plaque from sticking to teeth. Regular use by mothers reduces the transmission of Streptococcus mutans to children by up to 80 percent during the first two years. Enhances mineral absorption in tooth enamel, increasing its strength. Consistently using small amounts of xylitol stimulates saliva flow and increases saliva’s buffering capacity and protective factors. Increased saliva production is especially important for people suffering from dry mouth (xerostomia) due to illness, aging or drug side effects. 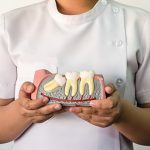 Supplemental use of xylitol, in combination with other dental therapies, can reduce the incidence of new tooth decay and arrest existing dental caries. Chewing xylitol-sweetened gum can help prevent ear infections; the act of chewing/swallowing helps to remove earwax and clear the middle ear (between the eardrum and cochlea), while the presence of xylitol prevents the growth and attachment of bacteria in the Eustachian tubes (tubes that connect the nose and ear). Using a xylitol nasal spray can significantly reduce the incidence of sinus infections, allergies and asthma. Additionally, xylitol has been found to increase the activity of white blood cells involved in fighting bacteria and thus may help build immunity, protect against chronic degenerative disease and have anti-aging benefits. 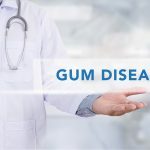 It has been proven effective in inhibiting Candida albicans, a serious yeast condition, and other harmful bacteria, including H. pylori, which is implicated in gum disease, bad breath, ulcers and stomach cancer. Research shows that dietary xylitol prevents weakening of bones in rats and improves bone density, indicating xylitol’s potential as a treatment for osteoporosis in humans. Using xylitol instead of sugar and/or refined carbohydrate foods may help to lower the risk of polycystic ovarian syndrome (a condition that disrupts or stops the ovulation cycle), ovarian cysts, fibroids, endometriosis, premenstrual syndrome and possibly breast cancer. To help prevent cavities, you need approximately six to eight grams of xylitol taken (chewed or ingested) throughout the day. To help prevent ear, nose and throat problems such as sinus conditions and middle ear infections, approximately 10 grams daily is recommended. If used only occasionally or just once a day, xylitol may not be effective, regardless of the amount. Use xylitol at least three times each day – five times is preferable – for at least five minutes right after meals and snacks. Between meals, opt for xylitol-sweetened products that encourage chewing/sucking to keep the xylitol in contact with your teeth. The xylitol effect is long lasting and possibly permanent. Products containing xylitol, which are more expensive than those containing sucrose and sorbitol (another popular sweetener alternative), can be found on the Internet and at health food stores. Prices range from around $1.50 for xylitol-sweetened gums to more than $50 for xylitol sweetener. It is found most often in chewing gums and mints from brands such as IceBreakers, Biotene, Peelu, Xponent, Xylimax and Trident. For the amount of xylitol to be at decay-preventing levels, it must appear as the first ingredient. Other products containing xylitol include toothpastes, mouth rinses, candies and nasal sprays from brands such as Epic, Xlear, Trident and Peelu. Xylitol is sold as a sugar substitute by companies such as Xlear, Swanson Health Products, Emerald Forest, XyloBurst and NOW Foods. First used in foods during the 1960s, xylitol has earned approval as a food additive from various agencies, including the US Food and Drug Administration, the World Health Organization’s Joint Expert Committee on Food Additives and the European Union’s Scientific Committee for Food. Xylitol is now part of cavity prevention programs, and dietitians recommend it as a healthy alternative to sugar and a dietary supplement. Xylitol has no known toxicity in humans. Side effects are rare. Taking more than the recommended six to eight grams for oral care may cause stomach discomfort; taking more than 40 grams a day as a sweetener might cause some people to initially experience diarrhea, but this typically subsides with continued use. For diabetic use, no more than 70 grams, spaced throughout the day, is recommended.